I was born in the beautiful state of Colorado in 1985 with a birth defect in my right leg known as Proximal Femoral Focal Deficiency, where my right leg bones were underdeveloped. This led to an amputation at the age of 2 to better fit a prosthetic. This however, never slowed me down. Growing up, I was a super active kiddo with a passion for competing and being more physically able than my able-bodied friends. My mother always told me that I was disabled as I wanted to be, and I guess I didn’t want to be at all! I played little league football, baseball, and hockey, then went on to play Varsity football and track in high school. I also found I had the same creative drive as my mother (she is an awesome artist…) I was the only player on the football team that had to leave early from practice to head to musical dress rehearsals and choir practices haha! I attended the University of Colorado at Boulder, where I gave up football and instead made the Varsity crew team and rowed for my 4 years there. College was also where I discovered graphic design and how I could use my background in art and my knowledge of computers to create helpful assets for businesses. After college, I became a manager for a handful of bars in Denver and unfortunately gave up athletic competition. 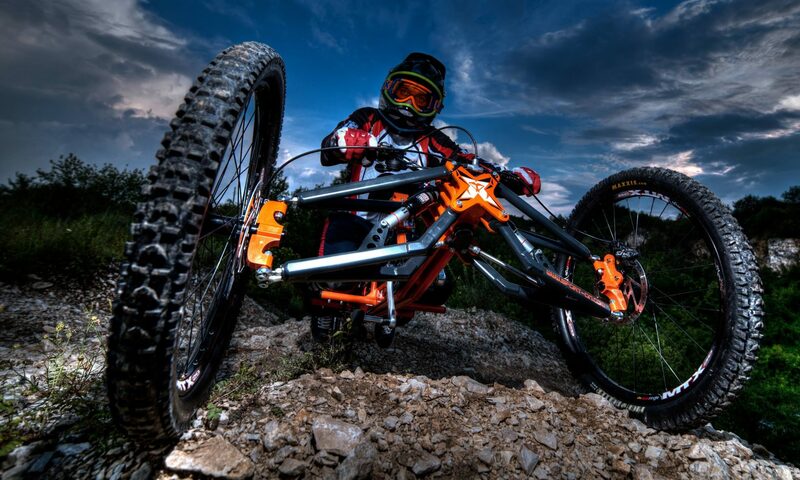 That was until the age of 25 when I discovered Adaptive Ski Racing and the Paralympics. I was introduced by a friend to the National Sports Center for the Disabled in Winter Park, CO and immediately fell in love with skiing and wanted to learn how to race. I spent 3 days on snow and then entered into a “Learn to Race” camp in Breckenridge, CO. It was then that I discovered my passion for competition again and 3 months after that camp, I was able to place 9th in Nationals in the Downhill event in Alyeska, AK. With my new found passion for sport, I moved to Winter Park to be closer to the mountain, kept my bartending job in Denver and commuted the hour and a half drive back and forth for training. I continued this for 3 years, supplementing my bartending income with graphic design work, and spending every moment I could training for Sochi. I nearly qualified and was one of the next names on the list to be chosen to go but unfortunately just fell shy. I was fairly disappointed, but I was stoked to see my friends and teammates on TV back here in the states, knowing that in 4 short years, I had a great shot to be up there on the podium with them. Three months after the games ended, I was back in Denver bartending as much as I could to save up for the 2015 race season. It was a Saturday night in late June when a group of gang members came into the bar and attacked me and my co-worker friend behind the bar because we wouldn’t serve them any alcohol. We were hit with a multitude of objects from pool sticks to belt buckles, and one of the blows from the pool stick actually fractured my T1 vertebrae. The group unfortunately escaped the police and were never caught. I spent the next handful of months in a neck brace and a lot of pain. I no longer felt comfortable in Denver and with good cause. The group actually came back in the bar one evening looking to speak to me and thankfully I wasn’t there. It was then I decided to up and move to Big Sky, Montana to get away from it all and properly heal my neck and back. I had to take that season off to fully recover, but with a lot of stubbornness, hiking, and physical therapy, I was able to race again this last season! 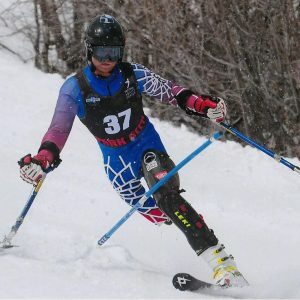 I recently just got home from a long circuit where I was able to place 5th in Nationals in Giant Slalom this last March! I now have more determination than ever to show the world just how able a disabled guy can be. I am now happily living and breathing the mountain lifestyle with my girlfriend and dogs in beautiful Big Sky country and I WILL go represent USA in the next Paralympics! My hobbies: I really enjoy the outdoors! I ski, bike, climb, hunt, fish, hike, camp, mountaineer…anything to just be under the sun and stars! My message for this community: Just because I may have a physical disability, doesn’t mean I live a life of any lesser quality. It is a life with a different perspective and what an awesome life it is!